Polycystic Ovarian Syndrome (PCOS) affects more than 10% of all women of reproductive age and is the leading cause of infertility in women under 30. This condition arises when ovulation does not occur regularly, resulting in multiple cysts in the ovary. Usually a follicle will go through a series of steps during the menstrual cycle, where regular maturation and ovulation will occur. In PCOS patients, these cysts are actually the follicles, which have not undergone regular maturation and ovulation in previous cycles. Women who have PCOS may also present with no cysts, but will present as having certain hormonal characteristics and have difficulty with regular ovulation. PCOS often presents with a condition known as insulin resistance. This commonly happens either from a genetic disposition or lifestyle and dietary factors. The presence of insulin in the body signals the tissues and cells to convert glucose into energy. In insulin resistance, the body does not respond to the increasing insulin levels, therefore causing the excess glucose in the blood to be taken up by the liver and converted to fat, increasing overall fatty tissue. Typically PCOS patients are overweight, however even lean patients with PCOS can have insulin resistance. 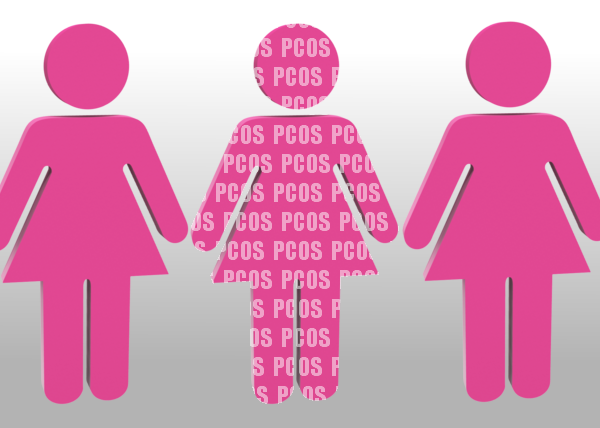 In women with PCOS, cycles are usually irregular or absent in some cases. They follow a different pattern of endocrine function and communication. Typically, there is an excessive production of androgens (androstenedione and testosterone – male hormones) that cause common PCOS symptoms (excessive hair growth, acne) due to the hormonal imbalance. This causes the follicle to not mature fully and allows for continued increase of estrogen, primarily estrone. The higher levels of androgens and estrogen create a chronic state of low to very progesterone (the main hormone required for pregnancy). So you can see why regulating hormonal imbalance in PCOS patients is imperative if they want to conceive. In addition, this unopposed estrogen may pose a possible increased risk for endometrial and breast cancer if not dealt with. It can cause uterine hypertrophy, also known as endometrial hyperplasia, which is what causes heavy menstrual bleeding or prolonged bleeding during menstruation. o Used for women wanting to conceive. It hyperstimulates the ovaries to ovulate. Again, not resolving the actual problem. o It helps to control the amount of glucose in blood. Commonly used for patient with Type II diabetes. There are a variety of other medications prescribed for other common symptoms, such as for the excessive hair growth, alopecia, or acne. Many of these medications come with their own side effects and can be contraindicated in women wanting to conceive. Some of these medications can also make the pre-existing symptoms even worse. Naturopathic Medicine can help reverse the disorder and restore natural ovulation and fertility by dealing with the issue at a cellular level. This involves a low glycemic index diet, exercise, therapies that help reduce excess androgens and estrogens, targeting insulin resistance and antioxidant status, acupuncture/electoacupuncture, and improving the luteal phase (progesterone balance). The high insulin resistance commonly found in PCOS patients can have a detrimental effect not only on fat production, also on normal ovulation. The elevated blood insulin causes the ovaries to increase production of testosterone by a large amount. Excess testosterone can slow or stop ovulation, contributing to the anovulatory cycles. The elevated insulin levels also have an effect on the conversion of male hormones into estrogen in the fatty tissues. This excess estrogen can cause elevations in LH levels and further increased production of testosterone. The high estrogen also causes FSH production to DECREASE, resulting in poor follicle development; therefore you can see that a vicious cycle exists. In order to break this vicious cycle, insulin resistance must be taken seriously in PCOS patients. Reinforcing dietary changes can be the first step to help with insulin regulation. Consuming a whole foods diet, consisting of high amounts of protein, fiber, vegetables, and complex grains, can help address those insulin fluctuations. Inositol, chromium, and glutathione supplementation are other examples of treatment options to improve insulin resistance in PCOS patients. Patient’s who are obese or have a high BMI (basal metabolic index); I cannot stress the importance of how weight loss can practically improve every parameter of PCOS. It has been shown that minimal weight loss of 2-7% of body weight reduces androgen levels and improves ovulatory function. In clinical practice, eating a high protein/low carbohydrate diet can increase weight loss the quickest due to its ability to keep you full for longer and also has the added benefit of improving insulin sensitivity. Recent studies on Omega-3 fatty acid (fish oil) supplementation have revealed promising results for its effect on androgen levels and gonadal function. After 1.5 grams of Omega -3 oil supplementation, LH and testosterone levels dropped, and a significant improvement in abnormal hair growth, BMI and insulin resistance was noted. Glutathione is exceptionally important for women with PCOS. o Recent study: 36 lean women with PCOS were given a dose of glucose. As expected, the women produced higher levels of insulin and testosterone. The study had concluded that the glucose caused a significant decrease in glutathione levels and that this reduction in glutathione was associated with an increase in testosterone. Egg quality also needs to be considered in patients with PCOS. 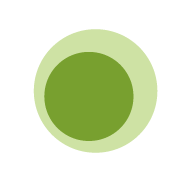 Glutathione is one of the ovary’s main protectors; therefore supplementation can greatly benefit the egg quality. This holds true for male fertility also (beneficial for sperm health). Supplementation is typically done either through IV therapy or oral supplementation of N-acetyl cysteine, since oral glutathione supplements are often not absorbed. o Another interesting study showing that after 6 weeks of treatment with N-acetyl cysteine, metformin and placebo, it was only the embryos from the NAC treated group that showed an increased number of good embryos on day 3 (after retrieval). Improved composition and overall ovarian cell health was significantly improved ONLY in the NAC-treated group. Naturopathic treatment options for PCOS are multifactorial and focus on an individualized approach since patients can present with very different symptoms. We focus on not only treating the disease, but the individual who has the disease. Harwood K, Patricia V, DiMartino-Nardi J. (2007). Current Approached to the Diagnosis and Treatment of Polycystic Ovarian Syndrome in Youth. Horm Res. 68(5): 209-217. Elnashar, A., Fahmy, M., Mansour, A., and Ibrahim, K. (2007). N-acetyl cysteine vs. metformin in treatment of clomiphene citrate–resistant polycystic ovary syndrome: a prospective randomized controlled study. Fertil. Steril. 88(2), 406–409. Nadjarzadeh A, Dehghani Firouzabadi R, Vaziri N, Daneshbodi H, Lotfi MH, Mozaffari-Khosravi H. (2013). The effect of omega-3 supplementation on androgen profile and menstrual status in women with polycystic ovary syndrome: A randomized clinical trial. Iran J Reprod Med. Aug; 11(8): 665-72.